One of our family's traditions whenever we travel is to indulge in some ice cream at a local shop, so while in Seattle, a stop at Molly Moon's was a must. They offer a lot of exotic flavors and toppings, but our family stuck to "typical" flavors - kiddie cups of Strawberry, Melted Chocolate, and a Cinnamon Waffle Cone full of Vanilla Bean. 50-degree weather, a hunt for street parking, and a packed shop did not deter us or other ice cream-lovers. 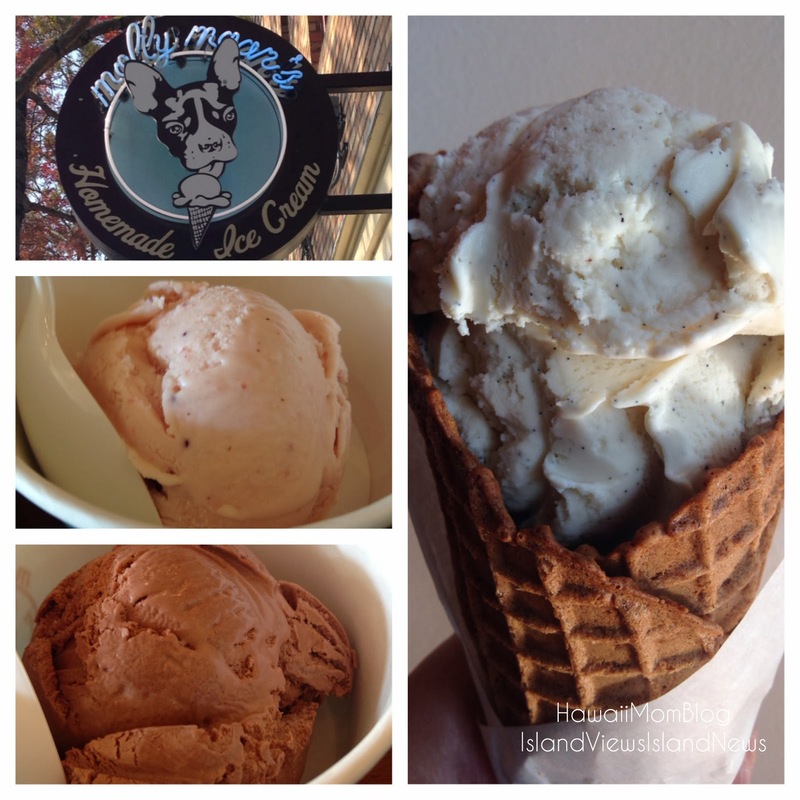 If you're in the Seattle area and an ice cream lover too, be sure to stop at Molly Moon's!